Burton Leon Reynolds Jr., or better known as his acting name Burt Reynolds, passed away Thursday, September 6, 2018, at the age of 82. Reynolds was an American actor, director, and producer who was known for his action film career that spanned nearly a half a century. He died of cardiac arrest at a Florida hospital after suffering from heart problems for a number of years. Several actors posted memorials to the actor on Twitter such as Ryan Reynolds who recently played Dead Pool and happens to share his last name. Reynolds' breakout role was in the 1972 film Deliverance where he played Lewis Medlock. He would go on start in dozens of hit films from The Longest Yard (1974) to Smokey and the Bandit (1977). Reynolds was even set to appear in front of the camera in Quentin Tarantino's Once Upon a Time In Hollywood in just a couple of weeks. Reynolds’ long-time manager Erik Kritzer recalled the actor telling him about eight years ago, "I don’t know how long I’m going to be around but I want to be proud of what I’ve done as I walk into the sunset." Kritzer added that "he was completely fulfilled." Reynolds was said to be looking forward to working with Quentin Tarantino before his death. The legendary actor had also received several other offers and Kritzer was in the process of negotiating roles in multiple movies at the time of his death. Reynolds even did a six-day shoot in Canada last year for a low budget film called Defining Moments which has yet to be released. "I know he passed away happy with how his career ended, but he also was excited to go work with Quentin and about what else lied ahead," Kritzer said. I grew up with him as a role model. 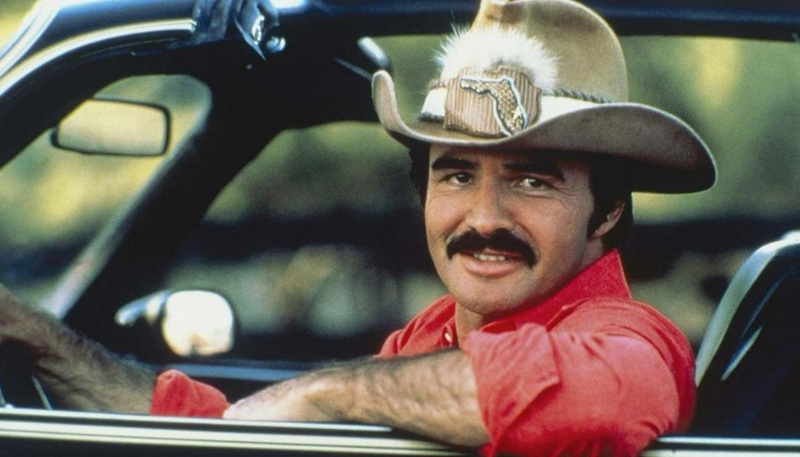 Burt Reynolds was what it was to be a man in the 1970s. We have drove many of the areas they filmed Smokey and the Bandit in the Northeast corner of GA.
We have been to the areas they filmed Deliverance near Taccoa Falls. etc. Despite all the pretty women he married over the years. especially after the Boogie Nights film.. But because he never went Anti-American in his politics or acted out his suspected sexuality. We enjoyed his 1970-1980's movie acting. He had his own style. He will be missed.